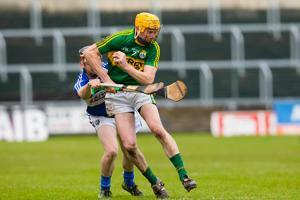 Kerry got their AHL campaign off to a flier with a resounding victory over Laois at OâMoore Park this afternoon. Given the strength of the opposition that both sides face over the next few weeks this was always going to be a four pointer and Kerry boss Ciaran Carey had demanded a firm start from his charges given that they were slow out of the blocks in the recent Munster Senior League games. His players could hardly have responded in a more positive fashion with Michael OâLeary showing the way with a point within seconds of the throw-in. John Egan, Shane Nolan from a â65â and Paddy Kelly pointed before Mikey Boyle gave his side the boost of a goal to leave Kerry leading by 1-4 to 0-5 after 15 minutes. Shane Nolan (2 frees), John Egan and Mikey Boyle with a great team score pointed but Laois, mainly through the accuracy of PJ Scully from placed balls, kept in touch and reeled off three points on the trot before Patrick Purcell goaled for the home side, however, points from Patrick Kelly (2) and Shane Nolan ensured that Kerry kept their noses in front, if only just, heading into the half time break 1-11 to 1-10 to the good. Kerry got a great start to the second period with John Egan, Colum Harty from long range and Michael OâLeary pointed inside the opening three minutes and after Scully replied once more, Kerry reeled off a string of points with the likes of 2015 Kerry Minor Jack Goulding revelling in the action and Shane Nolan proving ever reliable from placed balls. It was 1-22 to 1-12 on the hour mark and Kerry were in the comfort zone despite conceding a sloppy goal to Cahir Healy and young Jordan Conway had the last say in the 74th minute to close out a very satisfying victory for Kerry. The winners next outing is on Sunday next in Fitzgerald Stadium, Killarney when they take on Limerick in Round 2 at 2pm. Scorers for Kerry: Shane Nolan 0-8 (0-5f, 0-2 65), Mikey Boyle 1-1, John Egan 0-4, Jack Goulding 0-3, Michael O'Leary 0-2, Patrick Kelly 0-2 and Colum Harty 0-2 each, John Griffin and Jordan Conway 0-1 each. Scorers for Laois: J Scully 0-6 (0-4f, 1 65), Charlie Dwyer 0-4, Cahir Healy 1-0, Patrick Purcell 1-0, Ciaran Collier 0-2, Matthew Whelan and Stephen Maher 0-1 each. 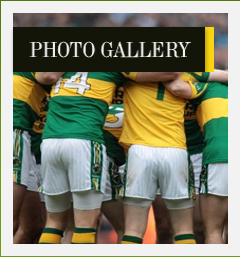 Kerry: Martin Stockpoole; Keith Carmody, Bryan Murphy, Sean Weir; Daniel Collins, Darren Dineen, Tom Murnane; Patrick Kelly, Tommy Casey; Colum Harty, Michael O'Leary, Shane Nolan; Jack Goulding, Mikey Boyle, John Egan. Subs: John Griffin for Dineen (58), Jordan Conway for Egan (65). Laois: Enda Rowland; Oisin Carroll, Darren Maher, Cahir Healy; Leigh Bergin, Neil Foyle, Ryan Mullaney; Matthew Whelan, Brendan Reddin; Ciaran Collier, Charlie Dwyer, Dwane Palmer; PJ Scully, Patrick Purcell, Stephen Maher. Subs: Joe Phelan for Reddin (47), John Lennon for Whelan (52), Mark Kavanagh for Palmer (56), Tom Delaney for D Maher (72). The Kerry Senior Hurling Team to play Laois in the Allianz Hurling League Round 1 at OâMoore Park, Portlaoise on Sunday next at 2pm, contains 9 of the side that defeated Derry in the Christy Ring Final last June. Jack Goulding, a member of the All Ireland winning Minor football panel last year makes his League debut at corner forward. Two of the successful Kerry Minor Hurling team from last year, captain, John Buckley and Jason Diggins, are included among the subs along with last yearâs Christy Ring winning captain, John Griffin. The Ballyduff pair, Paud Costelloe and Padraig Boyle, are rehabbing from injury. The long awaited Allianz Hurling League Division 1B series for the Kerry senior hurlers gets underway on this Sunday, 14th February with an away game against Laois. 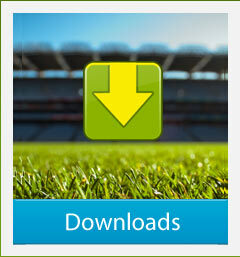 Venue is OâMoore Park, Portlaoise where there will be a 2.00p.m. throw in. 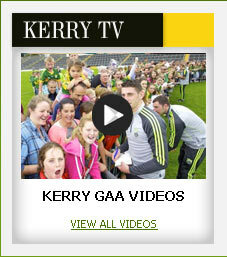 There is a lot of interest in the league and it is expected that there will be good Kerry support there. 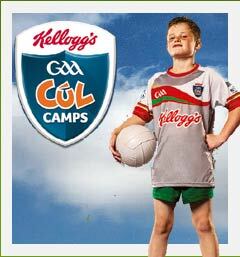 Admission tickets on the day cost â¬15 but they are available at a reduced price of â¬10 if purchased online on www.gaa.ie or at participating Centra or Supervalu stores around the county up to midnight on Saturday. Kerryâs first home game, round 2 v Limerick on Sunday week, 21st February will now be played at Fitzgerald Stadium, Killarney, 2.00p.m.